The Incredibles font here refers to the font used in the poster title for the film The Incredibles in 2004. 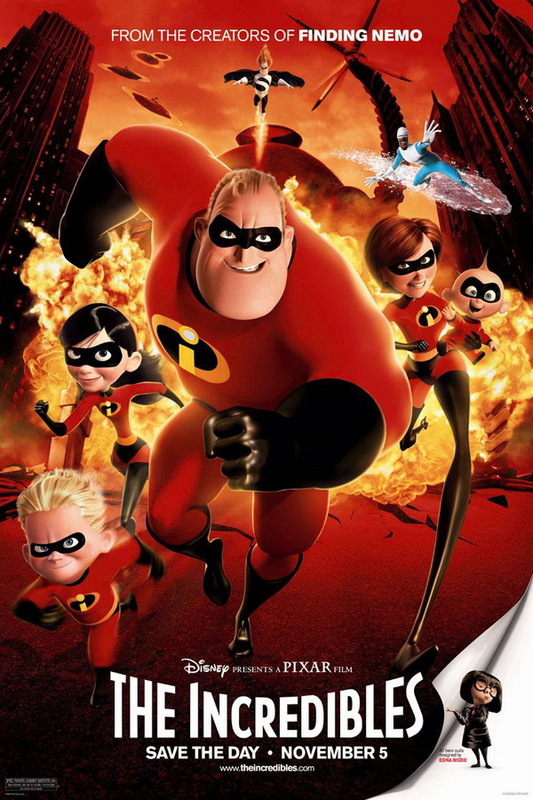 The Incredibles is an animated action comedy film that focused on the story of Bob Parr and his family, who are gifted with superpowers but are forced not to use their powers by the government, till one day, he was summoned and assigned a special secret task. The Incredibles received an incredible 97% Certified Fresh rating at Rotten Tomatoes. The font used in the poster title for the film is very similar to a font called The Incredibles created by Jens R. Ziehn. The font is free to use.You can download the font for free here. If you do not want to download and install the font but just like to create simple text or logos using The Incredibles Font, just use the text generator below. The following tool will convert your entered text into images using The Incredibles Font, and then you can right-click on the image to save it or click on the "EMBED" button to get links to embed images on the web.